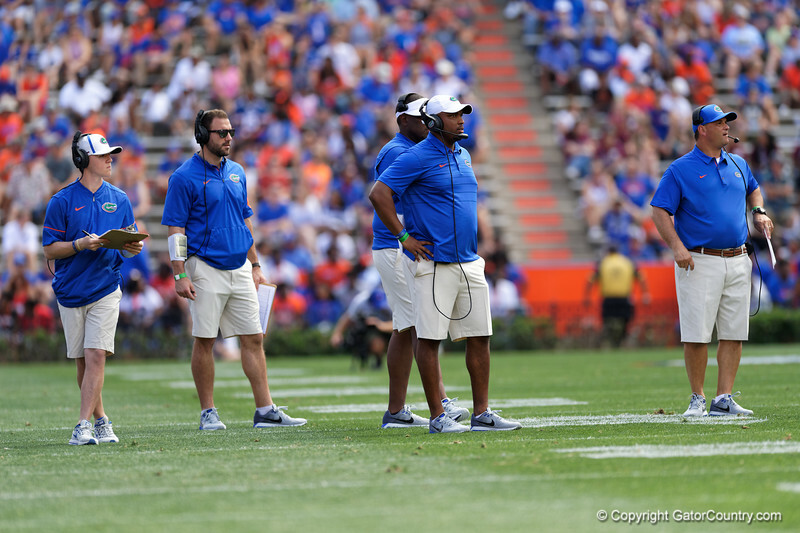 University of Florida Gators quarterbacks coach Brian Johnson and University of Florida Gators Co-Offensive Coordinator and wide receivers coach Billy Gonzales watch on as the Gators play their annual Orange and Blue Spring Game. April 14th, 2018. Gator Country photo by David Bowie.